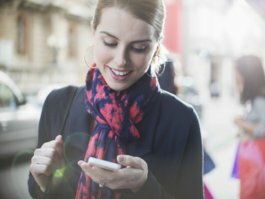 Text messaging has been around since the ‘90's so it's certainly nothing new however due to the sharp upward curve of mobile phone usage in Australia (and globally) and the rise of SMS marketing services, business owners and marketers now have a powerful new method of reaching customers. The longer it takes for people to respond to your marketing the less likely they will result in a conversion. For example, on average it takes about 2 days for a recipient to read an email but for SMS it takes (on average) around 90 seconds. Marketers spend a lot of time testing headlines, subject lines, images etc. so they can increase the number of people who open their marketing message because they know that if they can double their open rates then they can increase sales. SMS is one of the very few channels that allow marketers and business owners to achieve at anywhere between 82.1-98% open rates - this is a massive competitive and sales advantage to those who are using only email marketing. It's not enough to achieve high open rates, you still need to be able to get the person to click on your link so they are exposed to your offer. While you can expect to achieve roughly 2% with paid advertising and 4.1% with email marketing. Marketers are achieving up to 30% click-through and when you combine the open rate along with the high click-through rate you have a powerful traffic and conversion tool at your disposal. Generating email leads are good but they are still at the top of the marketing funnel and require nurturing before they become sales-qualified and can be given to the sales team as a quality lead. SMS leads tend to be a lot closer to making a buying decision because the level of commitment is higher when you give someone your personal mobile number. Although you won't receive as many leads, they will typically convert much faster. For only a few cents per send, you can get your message into the hands of a highly engaged and pre-sold list of customers. Although email is cheaper than SMS it is also less effective with roughly 80% of your list never opening your email promotion. One of the secret reasons online marketers love SMS is that there are no SPAM algorithms to crush your delivery rates - did you know that email has over 400 trigger words that when used in specific combinations will either block or send your email to the SPAM folder? SMS has a 100% delivery rate which means your customers will receive your text messages every time unless they change numbers or have been out of mobile coverage for a few days. Everything new at some point was effective at grabbing our attention, the first emails were opened almost instantly but now that has changed, social media alerts, push notifications, now Facebook messenger has very good open rates but like all of the other channels before it, people will start to ignore messenger too. After more than two decades SMS is still able to steal our attention because it's such a personal channel whenever we receive a text message we need to know who sent it. Email marketers know the critical importance of having segmented customer lists. The reason being is that it increases message to market relevancy and the generally speaking, the higher the relevancy the higher the conversions. SMS allows them to do the same when potential customers subscribe they can be automatically added to specific customer lists for following up on with highly targeted promotions. Creating any marketing campaign takes a while to piece together; PPC campaigns require keyword and competitive research, copywriting, bid adjustments etc. Email requires copywriting, design, coding and proofing, etc. an SMS marketing campaign is simple, write out a short message, select your recipients, test any links and click send! Another powerful strategy that marketers are using is “powering up” the performance of their other marketing channels. For example, if you have an important email promotion or company newsletter being sent out you would follow up with an SMS blast reminding your list to read that email - this instantly improves email open rates. This same strategy can be used to improve webinar and trade show attendance, remind prospective customers about sales presentations, remind online shoppers that they didn't complete their purchase. Virtually any areas inside your business where it is necessary to grab attention you can deploy text message marketing. Online SMS - online SMS in 100% cloud-based which means there is nothing to download or install just log into your account and start sending alerts, reminders, SMS marketing promotions and more. Auto-Segmentation - capture buyers when thinking most about purchasing a product or service like yours and automatically place them into relevant contact groups for you to follow up on later with relevant SMS promotions and messaging. Auto Opt-Out - giving subscribers the ability to unsubscribe at any time is not only an SMS best practice but depending on where you live may be required by law. Once you set up a new SMS group you'll be able to add a special opt-out code at the end of each SMS message where the subscriber can opt-out automatically from your list. Scheduled Reminders - If you need to send out an SMS instantly you can, but most of the time you'll want to book these in for later using our simple scheduling system. Have our system send out your SMS messages based on time, the day of the week, date or a combination. Email to SMS - did you know that you can send SMS messages right from your favourite email program? Log into your email account, write out an email and our platform will convert it into a text message and send it off to one or more mobile phones as a text. Delivery Reports - whenever you send out a text message you'll receive a report on find out who received your text messages. International Texting - texting overseas is easy since we use all of the major overseas carriers allowing you to stay in touch with friends, family, and customers overseas. SMS Integration - our SMS platform can easily integrate into your existing software allowing you do everything from one familiar interface. High-Speed SMS Gateway - 160 uses the best technology to guarantee fast, secure and reliable delivery. Highly Secure - We take privacy seriously which is why we invest a lot of money in keeping our system inside a highly-secure offsite datacentre which is monitored 24/7. We also have high-grade encryption technology to keep user conversations private. 100% Delivery Guarantee - Sometimes SMS messages don't get through for example when a person has their phone turned off, or they are out of range or even if they've changed their mobile number. If this happens, our system will keep trying to send the message over 72 hours and if it's still not able to get through the credits are added right back into your account.